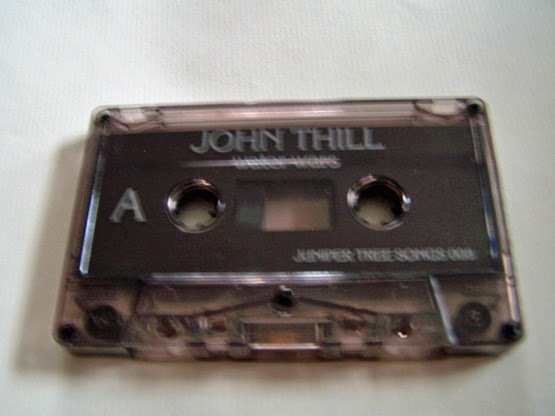 John Thill is a modern aged folk hero. I don’t mean “folk” in the sense of music, but rather because he is like Paul Bunyan or Davy Crockett. (Full Disclosure: When I was a child, I thought Davy Crockett was fictional) Thill has been around for long enough that you should know him by now, but you might not. 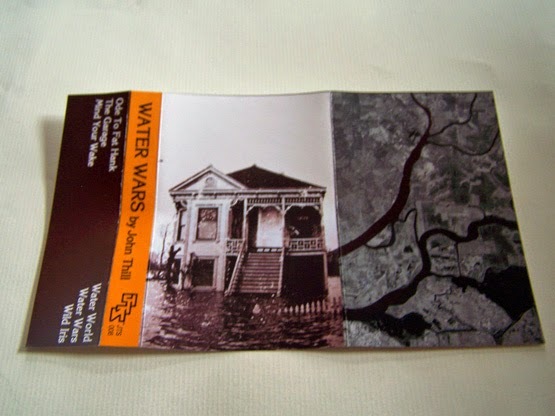 “Water Wars” is actually my first listening to of John Thill. 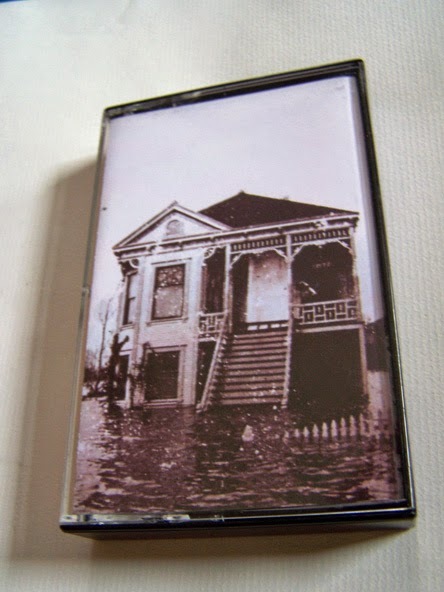 His name makes the rounds in the cassette label circles, as he’s had releases on Bridgetown Records, Unread Records and Folktale Records. He’s that sort of character who I knew existed, knew had music out there on cassette (and not just one cassette either), yet just hadn’t heard him for some reason. There are more names out there than I’d care to admit that fit this pattern, but all in due time I will listen to them. 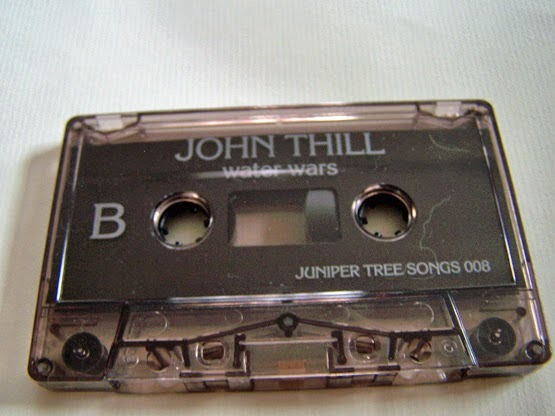 The music of John Thill begins like Tom Petty, then shifts into John Cougar Mellencamp. It works out well on cassette for two reasons, one of those being because JCM was mostly made available to me as a kid via cassettes. 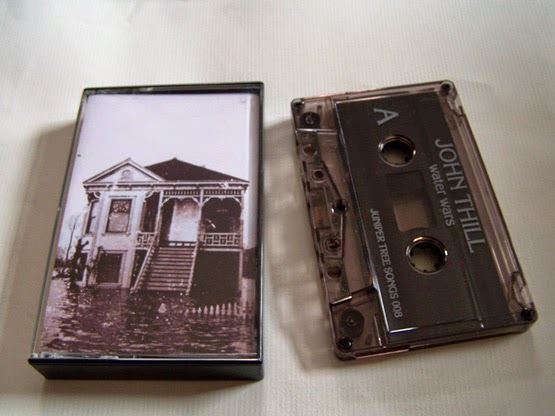 The other is that my uncle had a lot of Tom Petty tapes when I was growing up, and I always thought that was cool. In fact, one day I wouldn’t mind going back and buying all of those old Tom Petty albums on cassette. While there is the folk quality of, say, Bob Dylan, these songs do become electric still on Side B, and at some point I’m even saying that they’re bringing out a little bit of Frampton, but overall they are simply top notch. And though he may name drop Jimmy Buffet, he doesn’t really have any of that sound coming out that I can hear, thankfully.